Integrative Medical Institute (IMI) is the leading Integrative Medical center in Orange County, California. They provide a comprehensive approach to medicine and mental health, and are experts in the field of Ericksonian Therapies. Having a great load of content to share they had a strong need to re-brand their identity and re-design their website to engage and inform their target audience and expand their reach. In addition they wanted to ensure the design was cohesive with the style of their medical center which is the beautiful historic building that surely helps achieve wellness within. Persius Creative Agencys’ goal was to be achieved while making sure we successfully combine their Medical philosophy with the organic style which represents holistic and integrative medicine. After a detailed brainstorm meeting with our client, we applied our expertise and previous experience in the medical industry to begin our discovery process and achieve our goals. Beginning with the new brand, we focused on combining element which properly conveyed modern medicine integrating the holistic and natural approaches, with a personal caring touch. 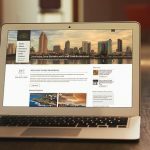 In addition the fonts and colors chosen are representing the professional manner with which IMI leads the Integrative Medical field in Orange County California. We continued the discovery process to further understand the target audience for IMI and wireframe development of the new website. Our objective was to engage the user with great functionality and aesthetics, while creating an information-filled playground to enhance their knowledge of health and the offered services at IMI. We designed a dedicated page to re-introduce the staff of IMI complete with interactive social media connections. To better portray the wide range of services offered, we designed a stylish interactive custom page which helps the user distinguish medical approaches from therapies, while clearly understanding the overview of all services offered. 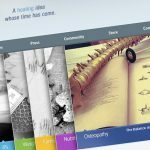 With enhanced management of content we created separate avenues to share the IMI information through a medical journal, a medical blog and a medical news page, each offering a unique range of topics and articles for the user. With direct contact information and a patient lounge complete with access to appointments and all necessary documents, we ensured that current and future patients had proper access to their medical needs. Our final tasks were to customize the design of all website elements in consistency with the new brand and the IMI approach. We prepared the website for launch with vigorous testing and connected the necessary social media channels, to ensure maximum accessibility by IMIs’ target users. We accomplished our goals with great results and efficiency and our client was pleased far beyond their expectations. We are very pleased with the results and honored to have the privilege to work with such a great company and staff.